We’d love your help. 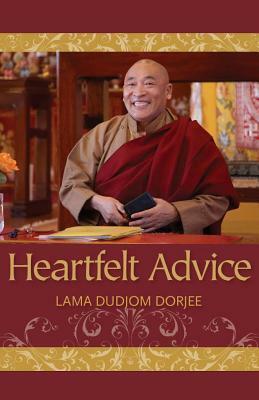 Let us know what’s wrong with this preview of Heartfelt Advice by Dudjom Dorjee. To ask other readers questions about Heartfelt Advice, please sign up. Lama Dudjom Dorjee is a Tibetan Buddhist teacher. He came to the United States at the request of the Sixteenth Gyalwa Karmapa. Since 1998 he has been the resident teacher of Karma Thegsum Choling in Dallas.